The herpes viruses are the leading cause of human viral disease, after cold and flu viruses. Herpes simplex 1 and 2 cause cold sores and genital herpes, while the Varicella Zoster strain causes chicken pox in children and shingles in adults. Infectious mononucleosis is caused by the Epstein Barr herpes virus. In addition to prescription medications, the amino acid L-Lysine and vitamin C treatments can be helpful in controlling your outbreaks and resolving them quickly. L-Lysine is an essential amino acid that interferes with herpes virus replication. It is obtained naturally from meats, cheeses, fish, nuts, eggs, and legumes. These foods supply the amounts of L-Lysine necessary for the human body, but not enough to stave off herpes flareups. Vitamin C-rich foods can help by boosting your immune system. This lessens the chances of a severe outbreak. 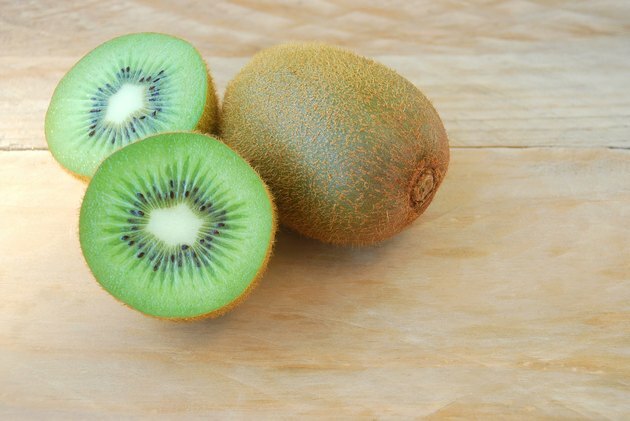 Fruits and vegetables with high vitamin C include kiwifruit, strawberries, broccoli, and peppers. L-Lysine supplements are beneficial in controlling the severity of herpes outbreaks and may even prevent outbreaks altogether. Regular use is critical, though, and dosages less than 1,000 mg have not been found to be effective. Vitamin C supplements come in many forms: capsules, tablets, lozenges, even liquids. They also come in a range of dosages. Remember to consult with your doctor about what form and dosage of supplement is right for you. L-Lysine ointments generally apply to cold sores. The amino acid is delivered in a natural oil-base, and includes zinc oxide as an active ingredient. Vitamins A, D, and E are frequently included, and beeswax, honey, and herbal extracts are added for their soothing and healing properties. Application will speed healing and decrease scarring. While vitamin C ointments and creams are available, taking vitamin C internally has been found to be the most beneficial approach. Once you contract a herpes virus, it remains with you for life. Amino acid and vitamin treatments cannot prevent you from spreading the disease and shouldn't be used as a replacement for doctor-ordered medications. Prescription drugs, such as Zovirax and Valtrex, may reduce transmission of the virus, but contact with your bodily fluids could still put others at risk of infection. Consult with your physician about ways to keep others safe. What Are the Dangers of Herpes if Not Treated?